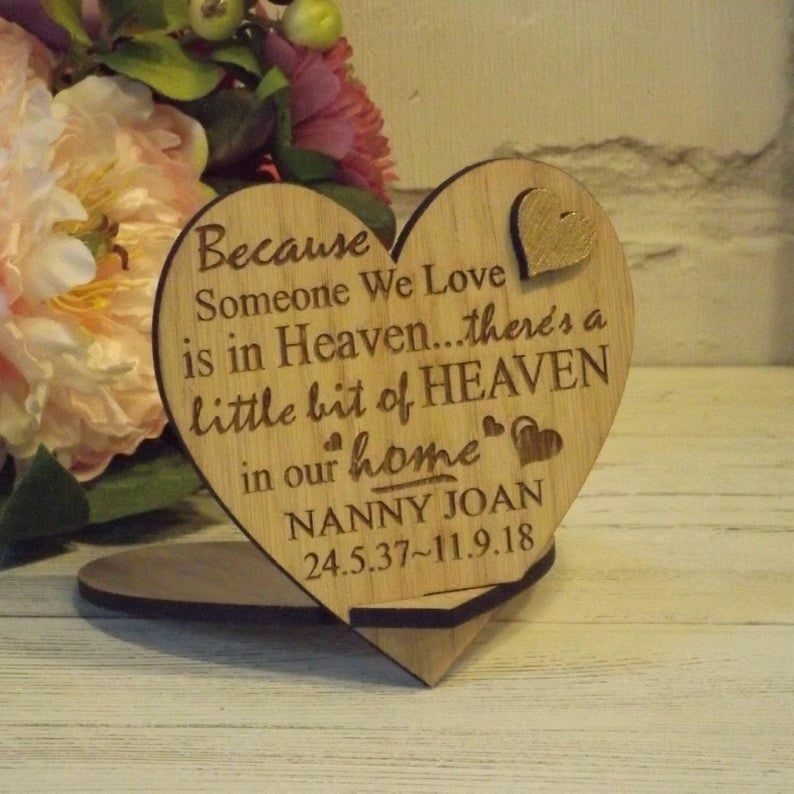 Our little bit of Heaven heart sign remembers someone who is very special and close to you who has passed away. 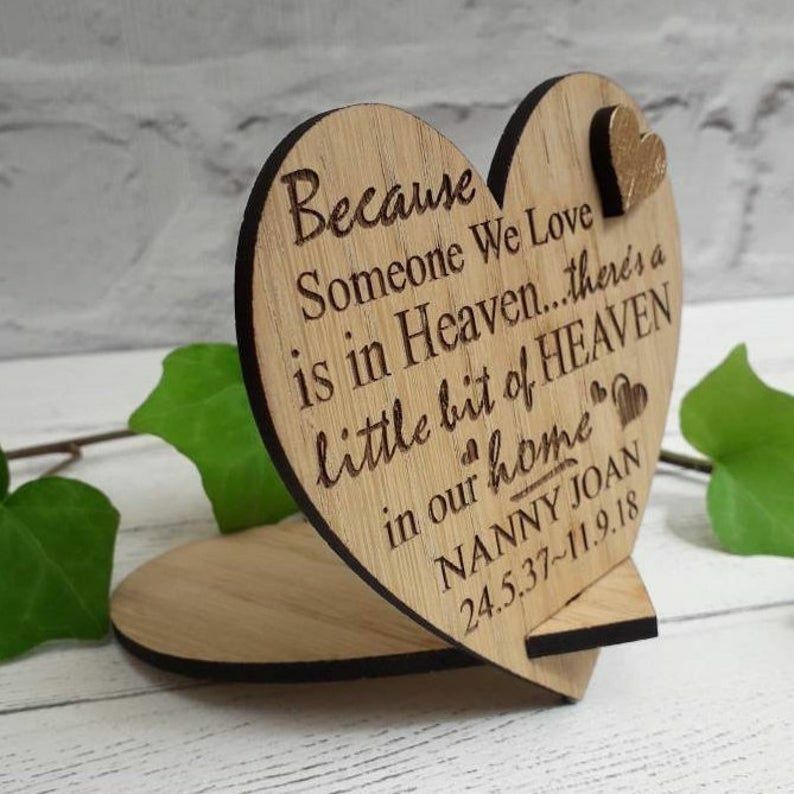 Made from oak veneered wood the heart features the wording 'Because someone we love is in Heaven ... there's a little bit of Heaven in our home', together with a raised hand-painted heart embellishment, in your choice of either gold or red. Another oak wood heart interlocks to allow the heart to be displayed free-standing. 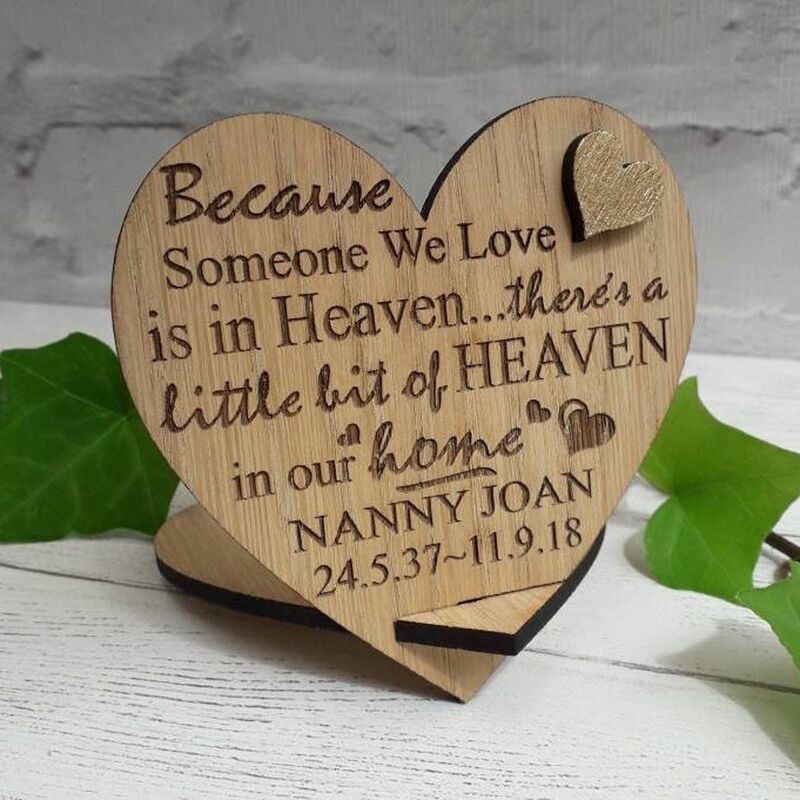 Beneath the 'Heaven in or home' saying you can have two lines of personalisation, a name on one line and dates on the other. This is optional.